International Design Studios 2018 (IDS) focused on design of dynamic building structure that will function as a platform for exploration of different transformation scenarios and development of revisable building concepts. 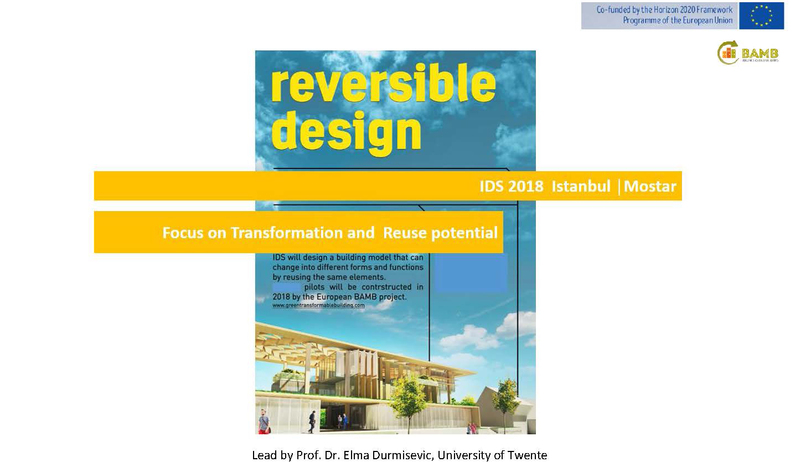 IDS will exploit different strategies for design of reversible buildings, whose structures could be reversed to a set of components/elements to adjust to changing functional requirements or to create new building structures, utilizing its components and materials. Such transformable and reversible buildings have potential to form a driving vehicle for utilizing the build environment in the future as a material bank for new components/buildings or other products. Studios in 2018 were housed by University of Mostar and Istanbul Technical University and supported by city of Mostar, GTB Lab, BAMB and SGDF/GDC. Design studio in Mostar was hosted by the University of Mostar and hosted by Dean Prf. Dr. Maja Prskalo, Dragan Katic. The final design studio took place at the University of Mostar form 09-14 of July 2018. 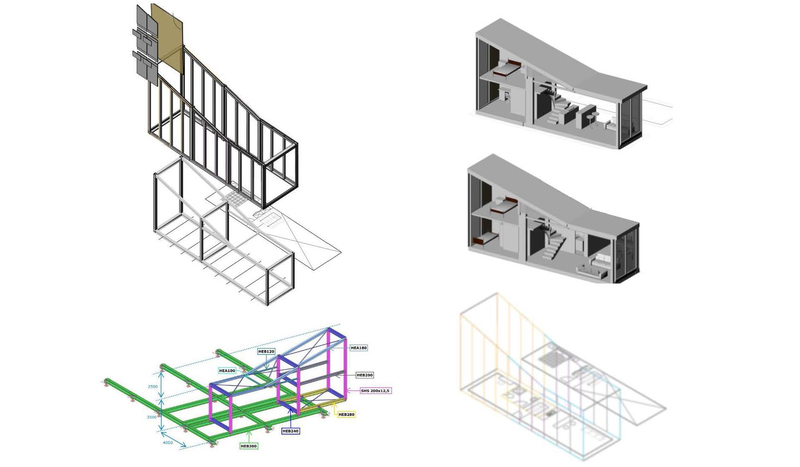 After analyzing transformation potential of the GTB Lab and GDC cores student’s task was to zoom into one functional part of the building and propose the technical design and materialistaion that will safeguard reuse potential of building components and support spatial and technical reversibility of without waste creation. 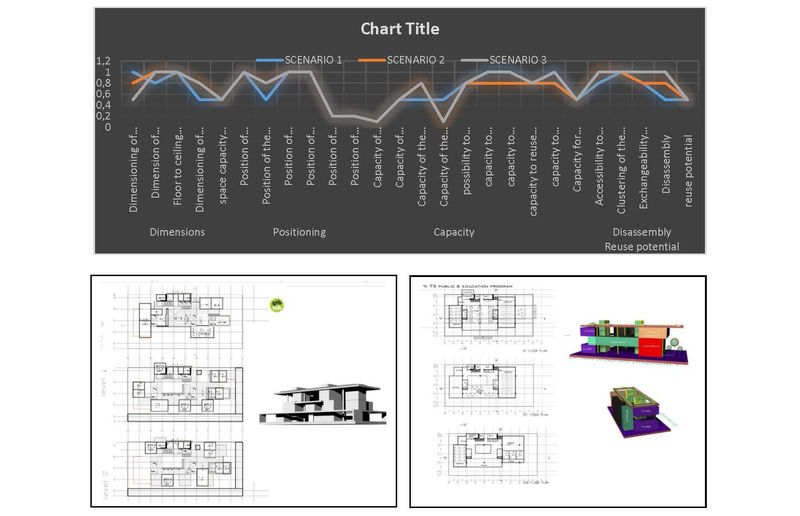 Standardization of dimensions and functional clusters, hierarchy of technical parts and connections were the focus of students investigation. Design studio in Istanbul hosted by Istanbul Technical University and was hosted by Prof.Dr. Birgul Colakoglu. Studios tasks were to implement design concept that will support short term and long term use changes, without waste creation and damages of materials. Design should result into dynamic building structure, balancing between the architectural form of the core of transformation as more stable part of the structure and exchangeable/dynamic parts of the structure subject to easy customization and reconfiguration and upgrading. Challenge is in careful design of- and integration of climate/ installation concepts that allow for smooth transition from one use scenario to another without demolition and waste generation activities. Such a Green and transformable building structure will be used as a showcase and laboratory for dynamic and circular buildings. This means that a flexible and dynamic structure needs to be put in place that will make different additions, replacements and upgrade of use, energy and climate concepts possible. The studio work built further on previously developed transformation models. 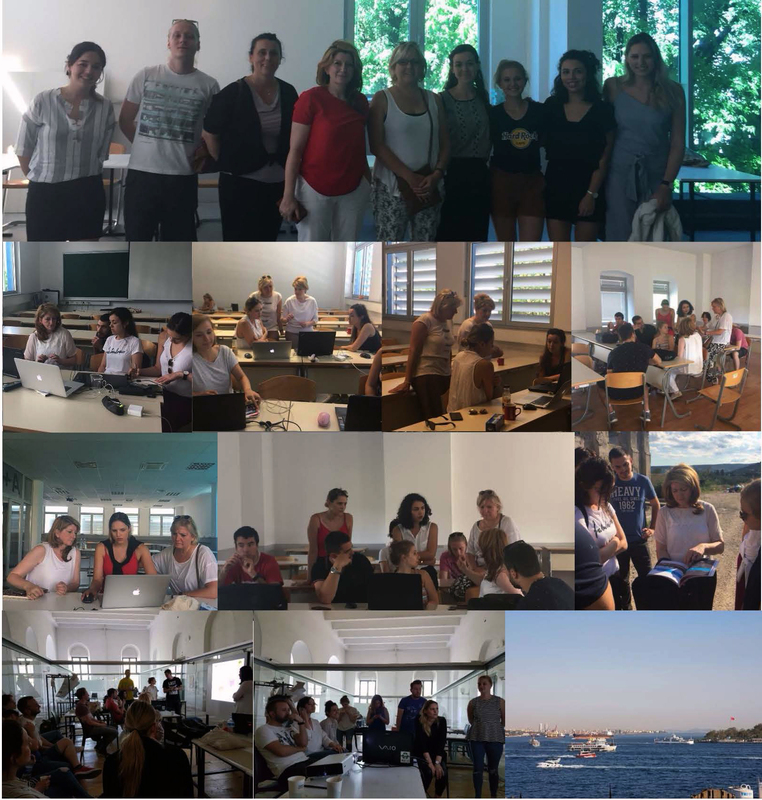 During the first workshop in Istanbul Studio groups tested transformation capacity of the predefined building cores within GTB Lab in the Netherlands (new construction) and GDC in Mostar (reconstruction). Scheme result bellow indicated transformation potential of GTB Lab in relation to the three investigated use scenarios housing, offices and education. Transformation indicators are ranged from 0 to 1. Ranging corresponds to the ( high-low) effort needed to transform GTB Lab to one of the three scenarios. Prof. dr. Maja Popovac (University of Dzemal Bjedic), Senada Demirovic ( city of Mostar), Phd student Patrick de Laat ( University of Twente),PhD student Marc van de Berg (University of Twente) PhD student Renata Androsevic (Sarajevo Green Design Foundation).